Saint Brendan’s Church, Kilnaughtin, Tarbert, Co Kerry. Readings: Psalm 31: 1-6; John 12: 20-36. Hymns: 66, Before the ending of the day; 216, And can it be. May I speak to you in the name of + the Father, Son and Holy Spirit. Amen. Throughout this week, as we journey together through Holy Week, we continue the gradual build-up from Palm Sunday, with services each evening in this group of parishes. We were in Saint Mary’s, Askeaton yesterday [10 April 2017]. This evening [11 April] we are here in Saint Brendan’s, Tarbert. 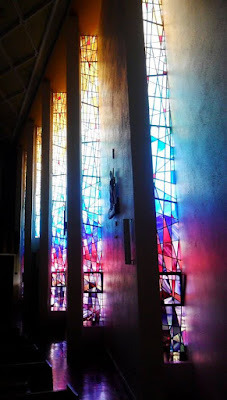 Tomorrow, we journey on to Rathkeale, then to Castletown for the Maundy Eucharist on Thursday evening, so that we can mark Good Friday prayerfully and appropriately in Saint Mary’s Roman Catholic Church, Rathkeale, at noon on Friday and in Saint Mary’s Church, Askeaton that evening. All this is to prepare us to celebrate the Resurrection, on Easter Eve in Castletown and on Easter Morning in Tarbert, Askeaton and Rathkeale. In the Gospel reading for this Tuesday in Holy Week (John 12: 20-36), Christ tells his disciples that the hour for him to be glorified has come – the hour when he will be lifted up from the earth. Traditionally, this Tuesday in Holy Week is also associated with the encounter between Christ and Pharisees, when they try to trap him into making a blasphemous remark, and with his discourse with his disciples on the Mount of Olives about the destruction of Jerusalem and the signs of the last day. 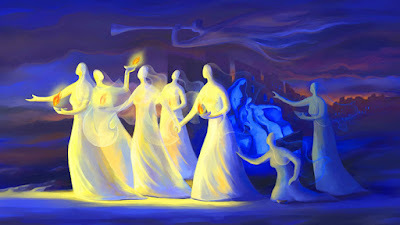 The theme for Orthodox services on Tuesday is found in the parable of the Wise and Foolish Bridesmaids (Matthew 25: 1-13), and the parable of the Talents (Matthew 25: 14-30). These are understood as parables of vigilance and judgment, emphasising our need to accept responsibility for our own lives. They also develop and elaborate the note of judgment found in the Bridegroom motif on these first three days of Holy Week: when the bridegroom comes at Easter, we must be prepared. (Revd Canon Professor) Patrick Comerford is Priest-in-Charge, the Rathkeale and Kilnaughtin Group of Parishes. This Holy Week Reflection was prepared for Saint Brendan’s Church, Kilnaughtin, Tarbert, Co Kerry, on 11 April 2017. In our pilgrimage and journey in Lent we have arrived at Holy Week, the last week in Lent. In our pilgrimage and journey in Lent we have arrived at Holy Week, the last week in Lent. Every evening in Holy Week, there are special services in the churches in the Rathkeale and Kilnaughtin Group of Parishes. This evening’s service (11 April 2017), the Late Evening Office, is in Saint Brendan’s Church in Kilnaughtin, Tarbert, Co Kerry, at 8 p.m. This week, from Palm Sunday (9 April) until Holy Saturday (15 April), the USPG Lent Prayer Diary is following the narrative of Holy Week. The topic was introduced on Sunday in an article in the Prayer Diary by Paulo Ueti, a Bible scholar and theologian in the Anglican Church of Brazil. In his article he recalled how the fourth-century Church Father, Evagrius Ponticus, says we can only encounter God if we are prepared to encounter ourselves in truth. When we can acknowledge and accept our own darkness, then we are able to accept others. They plotted to arrest Jesus and kill him. Every day we hear about acts of violence. Pray that the church would always seek to promote peace.